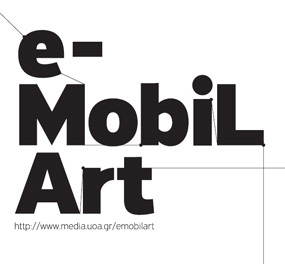 The European Mobile Lab for Interactive Media Artists (e-MobiLArt) is a project tailored around the process of collaboratively creating interactive installation artworks. Such mediated environments may involve the use of ubiquitous computing, communication networks and mobile or locative media technologies. Participants in this project are artists and scientists who are active in creating interactive media art or pursuing innovative interdisciplinary research and wish to collaborate in order to create interactive media artworks. During the project, three workshops took place in three different European countries: Athens, Greece; Rovaniemi, Finland and Vienna, Austria. In these workshops, participants were provided with necessary technical, theoretical and curatorial support and to help in starting and developing their collaboration. The resulting interactive installation artworks were exhibited in the Contemporary Art Museum of Thessaloniki and the Fine Arts Academy Gallery of Vienna with the support of a team of established curators and theorists, active in the intersecting fields of art, science and technology. 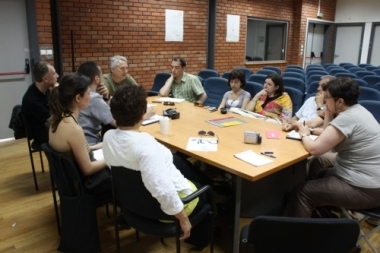 During the e-MobiLArt symposium, which took place in May 2009 in Thessaloniki, the RAMI plate-form and Amber Festivalwere invited to share feed back of this experience, to enjoy exhibition and artists/curators meeting, and to introduce their specific projects. Discussions about cooperation between RAMI, Yasmin and Amber Networks took place in order to imagine future synergies. The main aim and interest is to develop links between artistic and scientific approaches in the heart of digital and interactive arts. In this optic, e-mobile art is a very interesting example which may be of use for future experiences.